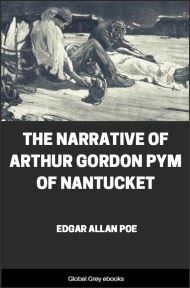 Follows the story of Arthur Gordon Pym, who stows away on the whaling ship, Grampus. Unfortunately for him he finds himself stuck in an adventure that includes mutiny, butchery, and cannibalism, premature burial, a ghost ship, gigantic polar bears, and uncharted islands peopled by barbarian hordes. That'll teach him not to try and get a free ride in the future. If he has one. MY name is Arthur Gordon Pym. My father was a respectable trader in sea-stores at Nantucket, where I was born. My maternal grandfather was an attorney in good practice. He was fortunate in every thing, and had speculated very successfully in stocks of the Edgarton New Bank, as it was formerly called. By these and other means he had managed to lay by a tolerable sum of money. He was more attached to myself, I believe, than to any other person in the world, and I expected to inherit the most of his property at his death. He sent me, at six years of age, to the school of old Mr. Ricketts, a gentleman with only one arm and of eccentric manners—he is well known to almost every person who has visited New Bedford. I stayed at his school until I was sixteen, when I left him for Mr. E. Ronald’s academy on the hill. Here I became intimate with the son of Mr. Barnard, a sea-captain, who generally sailed in the employ of Lloyd and Vredenburgh—Mr. Barnard is also very well known in New Bedford, and has many relations, I am certain, in Edgarton. His son was named Augustus, and he was nearly two years older than myself. He had been on a whaling voyage with his father in the John Donaldson, and was always talking to me of his adventures in the South Pacific Ocean. I used frequently to go home with him, and remain all day, and sometimes all night. 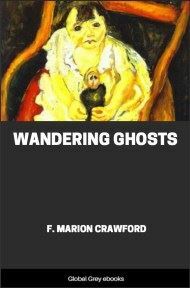 We occupied the same bed, and he would be sure to keep me awake until almost light, telling me stories of the natives of the Island of Tinian, and other places he had visited in his travels. At last I could not help being interested in what he said, and by degrees I felt the greatest desire to go to sea. I owned a sailboat called the Ariel, and worth about seventy-five dollars. She had a half-deck or cuddy, and was rigged sloop-fashion—I forget her tonnage, but she would hold ten persons without much crowding. 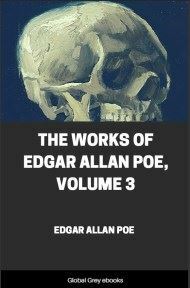 In this boat we were in the habit of going on some of the maddest freaks in the world; and, when I now think of them, it appears to me a thousand wonders that I am alive to-day. I will relate one of these adventures by way of introduction to a longer and more momentous narrative. One night there was a party at Mr. Barnard’s, and both Augustus and myself were not a little intoxicated toward the close of it. As usual, in such cases, I took part of his bed in preference to going home. He went to sleep, as I thought, very quietly (it being near one when the party broke up), and without saying a word on his favorite topic. It might have been half an hour from the time of our getting in bed, and I was just about falling into a doze, when he suddenly started up, and swore with a terrible oath that he would not go to sleep for any Arthur Pym in Christendom, when there was so glorious a breeze from the southwest. I never was so astonished in my life, not knowing what he intended, and thinking that the wines and liquors he had drunk had set him entirely beside himself. He proceeded to talk very coolly, however, saying he knew that I supposed him intoxicated, but that he was never more sober in his life. He was only tired, he added, of lying in bed on such a fine night like a dog, and was determined to get up and dress, and go out on a frolic with the boat. I can hardly tell what possessed me, but the words were no sooner out of his mouth than I felt a thrill of the greatest excitement and pleasure, and thought his mad idea one of the most delightful and most reasonable things in the world. It was blowing almost a gale, and the weather was very cold—it being late in October. I sprang out of bed, nevertheless, in a kind of ecstasy, and told him I was quite as brave as himself, and quite as tired as he was of lying in bed like a dog, and quite as ready for any fun or frolic as any Augustus Barnard in Nantucket.